Should have secured admission to a higher education course in recognized institutions in India or Abroad through Entrance Test/ Merit Based Selection process after completion of HSC(10 plus 2 or equivalent)/higher qualification. In case where admission is not through common entrance test and the marks secured in the qualifying examination is the only criteria adopted, the minimum cut off marks should be 65% in aggregate in the qualifying academic examination. 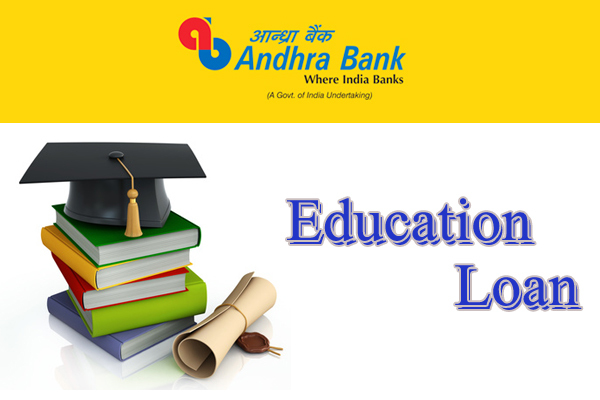 Educational loans are allowed to meritorious students, who qualify in entrance examination but choose to pursue under Management quota for reasons like proximity, choice for a course of discipline or any other reasons pertaining to his academic/career interests. The eligibility for loan is determined based on employability of the course and reputation of the institution concerned. Education Loans are given to students who secure admission in accredited Institutions. List of accredited institutions for all the courses are given in the bank's official website. Minimum Age : There is no specific restriction with regard to the age of the student to be eligible for education loan. Approved courses leading to graduate/ post graduate degree and P G diplomas conducted by recognized colleges/ universities recognized by UGC/ Govt./AICTE/ AIBMS/ ICMR etc. Courses like ICWA, CA, CFA etc. Regular Degree/Diploma courses like Aeronautical, pilot training, shipping, etc., approved by Director General of Civil Aviation/Shipping, if the course is pursued in India. Air Craft Maintenance Engg, Pre-Sea Training courses must be either a degree course recognized by a competent University or Diploma course recognized by appropriate State Govt. body to be eligible for considering loan. Nursing Courses and Para Medical courses offered by approved institutes including admissions through management quota. The fee considered for finance is restricted to fee structure as approved by the State Government or regulatory body. Any other course offered by institutes of repute with assured employment potential for the students and where the degrees/diplomas /certificates issued by such institutes have due recognition by Govt. Of India/State Govt./Academic Bodies duly constituted by State/Central Govt . The list of courses contained in the websites www.ugc.ac.in, www.education.nic.in, www.aicte.org.inare considered to be eligible courses. Off campus courses and onsite/partnership programs are not eligible for educational loans. Education loans for Research work to the students with masters degree and is admitted as research scholar in Universities/Research institutes having due recognition. Education loan for Home Study/Correspondence courses with contact classes or Coaching classes will not be considered. Courses conducted by CIMA- London, CPA in USA etc. Degree/diploma courses like aeronautical, pilot training, shipping etc provided these are recognized by competent regulatory bodies in India/abroad for the purpose of employment in India/abroad. Reference to other courses approved for financing are as indicated in www.webometrics.info. Diploma courses and certificate courses have not been included as eligible courses for the scheme. Post graduate studies leading to PG degrees and PG diplomas offered by reputed institutes/universities will be covered under the scheme. In respect of Degree level courses in Non Technical and Non Professional courses the aggregate of all expenses considered for finance should not exceed Rs.1 Lakh for the total course . Reasonable lodging and boarding charges will be considered in proportion to the course cost incase the student chooses/ is required to opt for outside accommodation. Interest to be charged at rates linked to the Base rate as decided by the Bank from time to time. Simple interest to be charged during the study period and up to commencement of repayment. 0.50% concession in spread for Girl Students. Servicing of interest during study period and the moratorium period till Commencement of repayment is optional for students. Accrued interest will be compounded at the time of commencement of repayment & EMI will be fixed accordingly. (0.50% concession for girl Students) and concessional interest rates to students in premier institutions @ Base Rate. Need based finance to meet the expenses worked out as above will be considered taking into account margins. No specific upper limit is suggested. In case of studies abroad, part cost of the study can be considered for finance as requested by the student duly taking into consideration part time jobs as permitted by the institutes to part fund the course costs. Scholarship/ assistantship to be included in margin. Margin may be brought-in on year-to-year basis as and when disbursements are made on a pro-rata basis. Parents to be joint borrower(s). No security. Collateral free limit of Rs.4 lakh is student specific and not family specific. More than one loan can be considered for other siblings in the same family even when one of the siblings has already availed a collateral free loan. Besides the parent(s) executing the documents as joint borrower(s), collateral security in the form of suitable third party guarantee will be taken. Parent(s) to be joint borrower(s) Tangible collateral security of suitable value acceptable to bank along with the assignment of future income of the student for payment of installments. The loan documents should be executed by both the student and the parent/ guardian as joint-borrower. The security can be in the form of land/ building/ Govt. securities/ Public Sector Bonds/Units of UTI, NSC, KVP, life policy, gold, and shares/mutual fund units/debentures, bank deposit in the name of student / parent / guardian / any other third party or any other tangible security acceptable to the bank with suitable margin. Wherever the land/ building is already mortgaged, the unencumbered portion can be taken as security on second charge basis provided it covers the required loan amount. Applications will be received either directly at bank branches or through on-line mode. Sanction/rejection will be communicated within 15 days of receipt of duly completed application along with supporting documents. In the normal course, while appraising the loan, the future earning potential of the course to the student and the percentage of income available for repayment only will be looked into. Rejection of loan application, if any, shall be done with the concurrence of the controlling authority of the branch concerned and conveyed to the student stating reason for rejection. Applications for Educational Loans from eligible student can be accepted either at the Bank branch near the residence of parents or to the educational institution. Service area approach is not adopted while sanctioning Education Loans. Repayment Holiday/Moratorium: Course period + 1 year or 6 months after getting job, whichever is earlier. If a student takes up higher studies immediately upon completion of the course, the commencement of repayment would get shifted to 6 months from employment or one year from completion of the second course whichever is earlier. This would be so irrespective of whether the student had taken fresh/top up loan for higher studies or not. No penalty will be levied for prepayment of loan. Bank may, with the consent of the student, arrange for life insurance/liability insurance policy for the students availing Education Loan, but not mandatory. No processing / upfront charges may be levied on loans sanctioned under the scheme for studies in India. For studies abroad, processing fee as applicable are to be collected initially at the time of sanction and are to be refunded upon the student taking up the course and availing the loan. Should have secured admission in a course run or supported by a Ministry/Dept/Organization of the Govt.or a Company /Society/Organization supported by National Skill Development Corpn. State Skill Missions/State Skill Corpns preferably leading to certificate/diploma/degree etc issued by a Govt Organization or Organization recognized/authorized by the Govt to do so. Vocational And Skill Development Courses of duration from 6 months to 3 years leading to certificate/diploma offered by recognized State/Central Govt. Institution or Statutory/Technical Body or Training Dept. of Govt. etc. Tuition /Course fixed by Govt/Authorities appointed by Govt. Any other expense required to complete the course. In respect of course fee of Private Institutions, the expenses will be limited to 125% of the fees prescribed by the Govt. for similar courses, if such fees is not fixed by Govt/Authorities appointed by Govt. Need based finance to meet the expenses worked out as above will be considered subject to the following ceilings. No Margin from the borrower. In respect of courses offered by reputed institutions having regard to the nature of such courses and employability, ability to repay out of job earnings, the ceilings may be relaxed to Rs.2 Lakh for courses of duration above 1 year. For Loans upto to Rs.50000/- Repayment Term upto 2 years. For Loans from Rs.50,000 to Rs.1.00 lakh 2 to 5 years. For Loans above Rs.1,00,000 3 to 7 years. Other terms and conditions as applicable to the Model Educational Loan Scheme for Pursuing Higher Education in India and Abroad are applicable to this scheme also. Note : Since the rules, regulations, eligibility conditions, repayments and interests rates etc. are revised by the banks from time to time in keeping pace with the changing capital market conditions, students and parents are advised to thoroughly check the terms and conditions of educational loan scheme on offer at the time of application.